Heritage Gratings: This range of handmade Channel Grating is manufactured from the original designs dating from the 1800's. 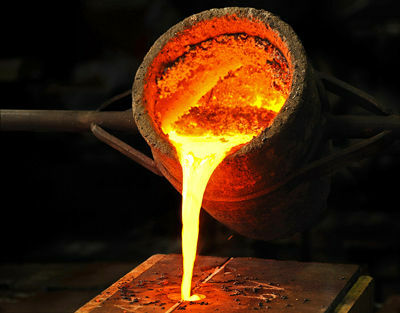 Often used in renovations of Heritage houses and buildings, it embraces all of the design distinction of ages gone by. Adding such gratings to Contemporary new construction simply adds that touch of class and nostalgia. The Heritage Gratings range is the perfect finishing touch to any project. Bespoke Designs: We are happy to work with you to manufacture any of your own design ideas or to match existing gratings within your project. This can be a slow process, with new craftsmen made patterns sometimes taking 4 to six weeks to produce, and at a cost per pattern anywhere from £600 to £1000 each. 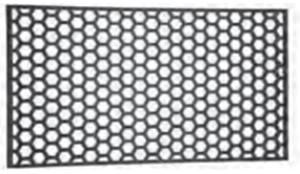 But once a new pattern has been designed and manufactured, we can manufacture any number of gratings that you require from that one pattern. 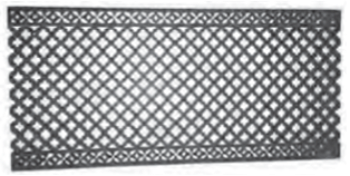 So, if you require a reasonable grating quantity, the pattern cost quickly diminishes per grating produced. For example, if you require 100 No. gratings, and the new pattern was to cost £600 to produce, the pattern cost works out at only £6 per grating manufactured to your own unique bespoke design! Why not be unique and have a grating design that no one else has? 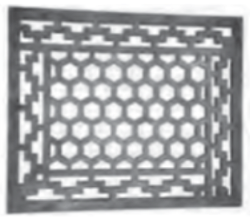 Heritage Gratings are manufactured from either Cast Iron or Cast Aluminium to suit your preference. Cast Iron is perfect for those situations where a grating will encounter load bearing once insitu. We have a loading capability to suit any occasion from the occasional foot traffic right up to heavy vehicle use. Cast Aluminium is perfect for decorative use such as air bricks, window ledge and radiator vent grilles. Talk to us about your loading requirements and we will help you decide on the perfect gratings to suit your requirements. Heritage Gratings are available in any variety of finishes from `fine cast` (as it comes out of the mould) for you to add your own personalised paint finish, factory finished in any RAL paint colour or the most typically common finish, traditional black bitumen dipped. Heritage Gratings are the perfect specification for internal or external use, with an expected working life span of more than 100 years! Your Heritage Gratings will be handmade and hand finished and will be specifically manufactured for your order, so please allow plenty of time for delivery, typically 3 to 4 weeks, as quality takes time to produce!